Displays number of unread RSS feeds in Safari. Is there a better alternative to SafariDockStatus? Is SafariDockStatus really the best app in Plugins category? Will SafariDockStatus work good on macOS 10.13.4? SafariDockStatus is a SIMBL plugin for Safari that simply shows the number of unread RSS news items that Safari tracks. There is an option to change the size of the label should you want to. Source code is also available. 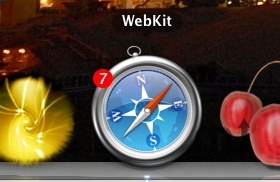 Version 1.1 works with Safari 3, webkit nightlies and v4. Mac OS X 10.4 or later, Safari 3+. SafariDockStatus needs a rating. Be the first to rate this app and get the discussion started!